English Poet Alfred Austin once said, "Show me your garden and I shall tell you what you are." 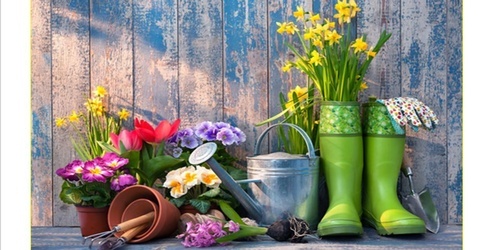 There are so many unexpected health benefits to gardening from mood enhancement to strengthening muscles to increasing range of motiom and mobility. Join us on Tuesday, February 12th, as Dr. Sarah Skelly discusses not only the benefits to gardening but also the challlenges. Did you know some of your medications may make you sun sensitive? What about Vitamin D and sunlight? How much do we need and how can it make us feel better naturally? And what about moving all the mulch I need for that new flower bed? : What's the best lifting technque to ensure I don't injure my back? Learn the answers to these questinos and so much. This seminar is free and will be held at the Holly-Navarre Senior Center - we hope to see you there! If you have any questions leading up to our event please contact us at 850-626-5248.